Montecito bed and breakfast travel guide for romantic, historic and adventure b&b's. 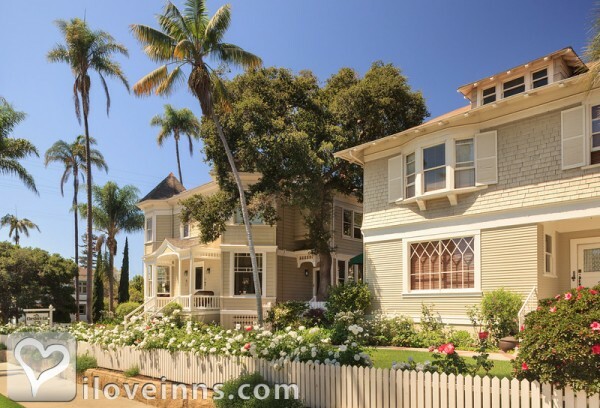 Browse through the iLoveInns.com database of Montecito, California bed and breakfasts and country inns to find detailed listings that include room rates, special deals and area activities. You can click on the 'check rates and availability' button to contact the innkeeper. Montecito can be found in Santa Barbara, California and is known as one of the wealthiest communities in the United States. It is exactly situated east of and adjacent the city of Santa Barbara and is in the eastern portion of the coastal plain of the Santa Ynez Mountains. What makes Montecito breathtaking is that a considerable portion of the town is built on the lower foothills of the range. Famous streets line up Montecito's range including the East Valley Road, the Mountai Drive, and the Sycamore Canyon Road. Some of the most interesting places to visit in Montecito would be Lotusland which is a design and botanical garden, the Music Academy of the West, Casa del Herrero -- a Spanish colonial revival home and gardens, and the world famous Butterfly Beach. Also try the Montecito bed and breakfast inns an example of which is the The Orchid Inn. By Cheshire Cat Inn & Spa.